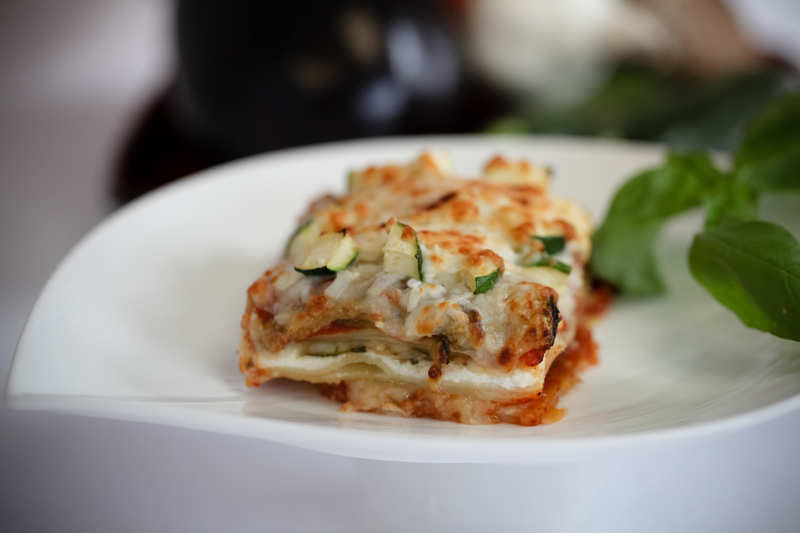 This Traditional Meat Lasagna recipe has been passed down in our family from several generations! Made with fresh Semolina Pasta, generous layers of homemade Meat Sauce, 100% Lean Ground Beef, Ricotta Cheese and a delicious blend of Cheeses. Buonissimo! 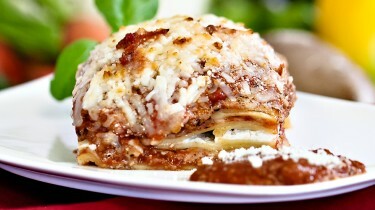 This is a delicious Lasagna that has won the hearts of not only Vegetarians but also Meat lovers! Fresh Pasta layered with crisp Carrots, Broccoli and Cauliflower, Ricotta Cheese, Alfredo Sauce and a combination of Italian Cheeses. 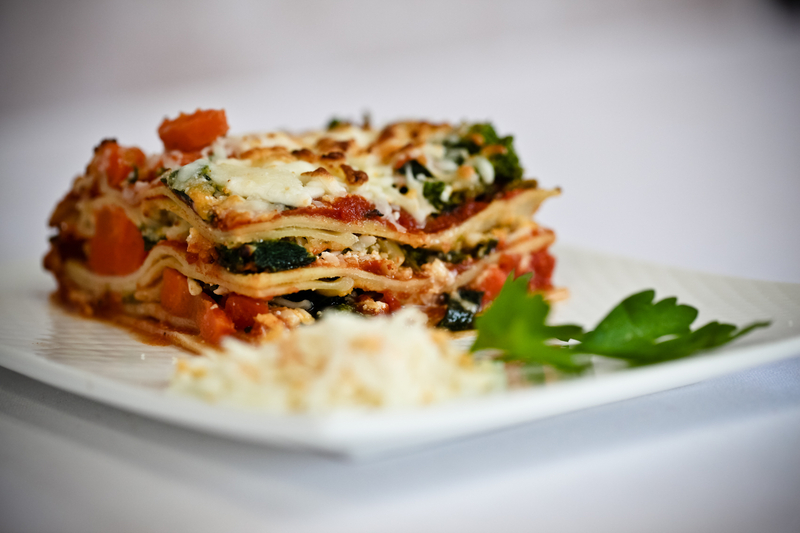 Our home made Tomato Sauce gives this Lasagna a fresh flavour in every bite! 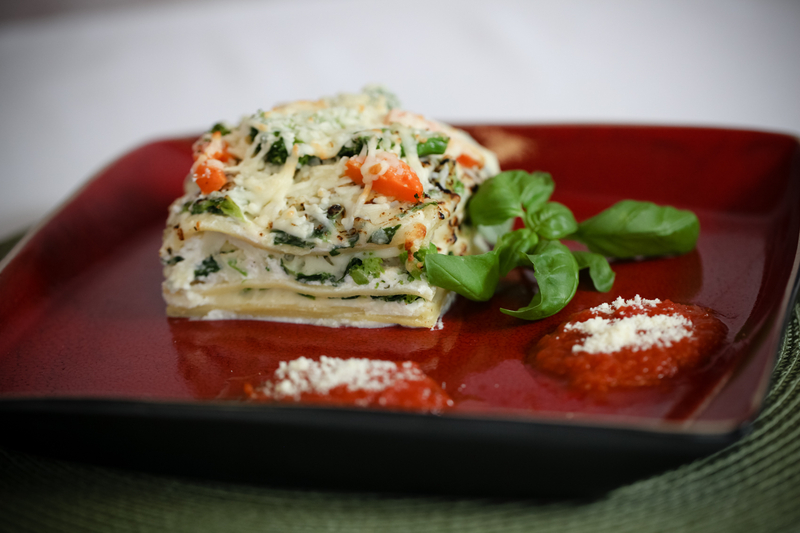 Made with a combination of five Cheeses (Mozzarella, Cheddar, Provolone, Parmesan and Romano Cheese) and layered with Spinach and crispy Vegetables. Seafood lovers delight! This is a sophisticated heavenly meal that keeps you coming back for more! 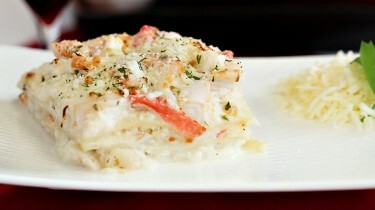 Made with our Fresh Pasta, creamy Alfredo Sauce layered with Shrimp, Scallops, Crab and a tasty combination of Cheeses. Fresh pasta layered with a medley of flavours, grilled eggplant zucchini, mushrooms, in a white sauce. This ultimate taste of classic Mediterranean flavours is topped with a blend of Italian cheeses. 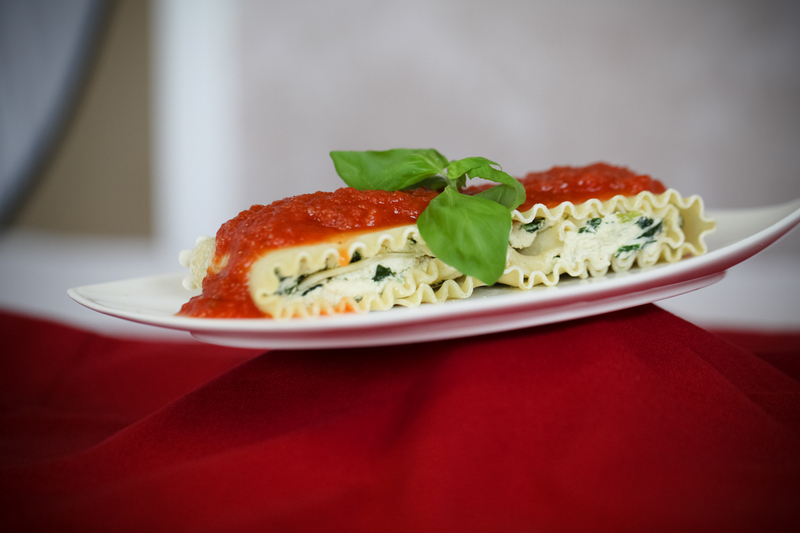 Made with our fresh pasta, rolled with spinach and ricotta cheese in Capo’s tomato sauce. Delicious!